A true gem! 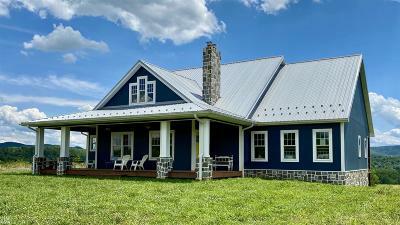 Here&apos;s a 100% custom-built, loaded-with-features, Craftsman/Farmhouse style home on 24.3 acres. 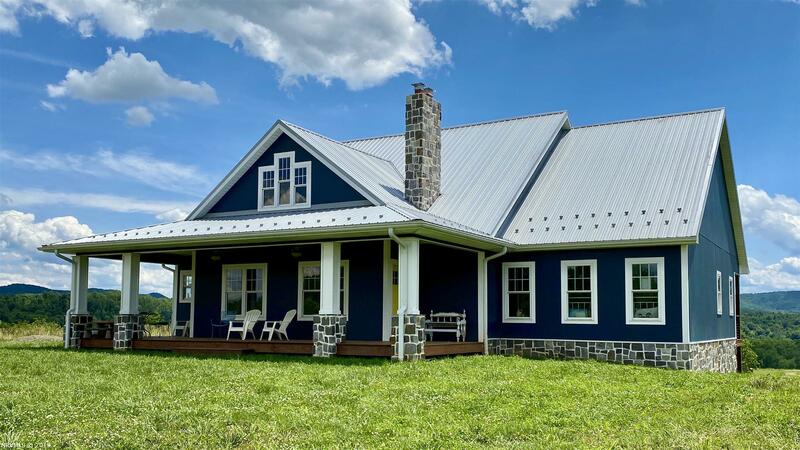 This new home is sited to take advantage of the valley views from two balconies while overlooking this working farm. Amenities include: 9&apos; ceilings on the main floor, 10&apos; ceilings in the basement, Blacksburg blended stone used for the fireplace and the exterior trim, custom lighting, shiplap interior walls, quartz countertops, gas cooktop, 7" engineered hardwood floors, 150 year-old barn beam mantle, walk-in closets in every bedroom, wide crown molding, pedestal tub and radiant heated floors in master bath, basement bedroom w/full bath and room for a kitchenette, 8&apos; wide front porch, wired for generator, walk-up storage over the garage, RV hookup, working livestock facilities, new perimeter & cross-fencing, riding ring, two Richie watering troughs, open pasture, fantastic views, very close to the New River. This property is loaded and a must see! Directions: I-81s To Exit 89a, Then S On Route 100 For ~5 Miles. Look For Reed Creek Drive On Your Right And Dyer Road On Your Left. Driveway Will Be The First One On The Right Once You Pass Reed Creek Drive. No Sign Per The Owners&apos; Request.